Richard Carl Fuisz, M.D. (born December 12, 1939) is an American physician, inventor, and entrepreneur, with connections to the United States military and intelligence community. He holds more than two hundred patents worldwide, in such diverse fields as drug delivery, interactive media, and cryptography, and has lectured on these topics internationally. Hersh reported that a Congressional subcommittee was investigating allegations against the Terex Corporation made by Dr. Fuisz. In Sept. 1987, Dr Fuisz was given a tour of the main Terex plant in Motherwell, Scotland. The Terex Corporation is a subsidiary of KCS of Westport, Connecticut. “I had noticed two large armor-plated vehicles painted in desert camouflage with specially attached steel backs. I asked the plant manager, Art Rowe, about them and was told they were missile launchers for the Iraqi military,” Fuisz said in an affidavit taken for a US Congressional subcommittee investigating the matter. “These shipments were all requested by the C.I.A. with the cooperation of the British intelligence people,” David J. Langevin, the vice president of Terex, told Fuisz according to his deposition. John J. Clements was named a Terex vice president in 1987. “One of Terex’s pressing needs when I joined the company was to borrow money for the purchase of the truck plant in Scotland,” Clements said. “I knew there was business in Iraq,” Clements told NYT journalist Seymour Hersh in 1992. “The gist of the article could be read to charge Terex with supplying Scud missile launchers to Iraq before the Persian Gulf War, a charge neither The Times nor Mr. Hersh intended. This resulted from an inaccurate headline, erroneous changes made to the content and emphasis of the article in the course of the editorial process, and the inclusion of information supplied by Dr. Fuisz that Terex asserts is false. Terex vigorously denied the charge and instituted a libel suit against Mr. Hersh and Dr. Fuisz. “The article should not have suggested that Terex has ever supplied Scud missile launchers to Iraq, and The Times regrets any damage that may have resulted to Terex from any false impression the article may have created. On Feb 23 2003, the Sunday Herald published a story headlined “Revealed: 17 British Firms Armed Saddam with his Weapons”. Just a few weeks after Dr. Richard Fuisz spoke to congressional staffer Suzan Lindauer in the fall of 1994, the Clinton administration placed a gag order preventing him from publicly discussing his knowledge of the Pan Am 103 bombing. Fuisz had told her that the perpetrators of the bombing of Pan Am Flight 103 over Lockerbie were based in Syria. He was adamant that Libya had played no role whatsoever in the tragedy. “If the United States government would let me, I could identify the men behind this attack [Pan Am 1003] today. I could do it right now. You want a police line up? I could go into any crowded restaurant of 200 people, and pick out these men. […] And you know what, Susan? You won’t find this restaurant anywhere in Libya. 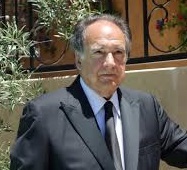 No, you will only find this restaurant in Damascus,” Fuisz had told Lindauer. Upon learning about the existence of the Lindauer affidavit from the Sunday Herald, Eddie MacKechnie – the lawyer for one of the Libyan indicted of the bombing of Pan Am 103 – instructed his US partners to obtain a deposition from Dr Fuisz under oath and before a judge. Fuisz was deposed in December 2000 in presence of three CIA attorneys as well as two others from the US DoJ. As not one single question, no matter how much trivial, was answered, the judge decided to adjourn. In a matter of days, the head of the CIA personally wrote to the judge to seek his help in ending the legal process. Nevertheless, in a second meeting, Fuisz admitted that he had high level contacts in Damascus. Moreover, vital information was placed under double seal. Neither the content of George Tenet’s letter nor the information under double seal was ever revealed, but it had become abundantly clear that Fuiz was a high level CIA HUMINT asset. In the following video — released in December 2013 — you can get a feeling of what Dr Fuisz actually said. 1. “U.S. Linked to Iraqi Scud Launchers,” Jan. 26, 1992. 2. “Editors’ Note,” Dec. 7, 1995. 3. “Revealed: 17 British Firms Armed Saddam with his Weapons” — Feb. 23, 2003. This entry was posted in CIA, Dr Richard Fuisz, Lockerbie and tagged CIA, GOSINT, Lockerbie, Richard Fuisz. Bookmark the permalink.